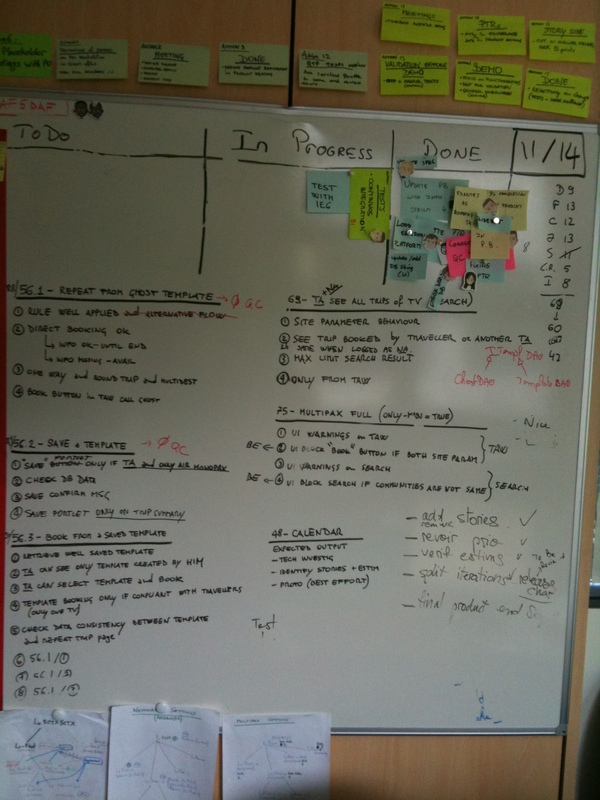 Here the part of the scrum board dedicated to our acceptance test ideas for different user stories. Normally these test ideas are written during the sprint planning meeting but they are also updated if new ideas are coming or something changes. The main point having them on the board is that everybody in the team can always know the overall test ideas for every user stories.